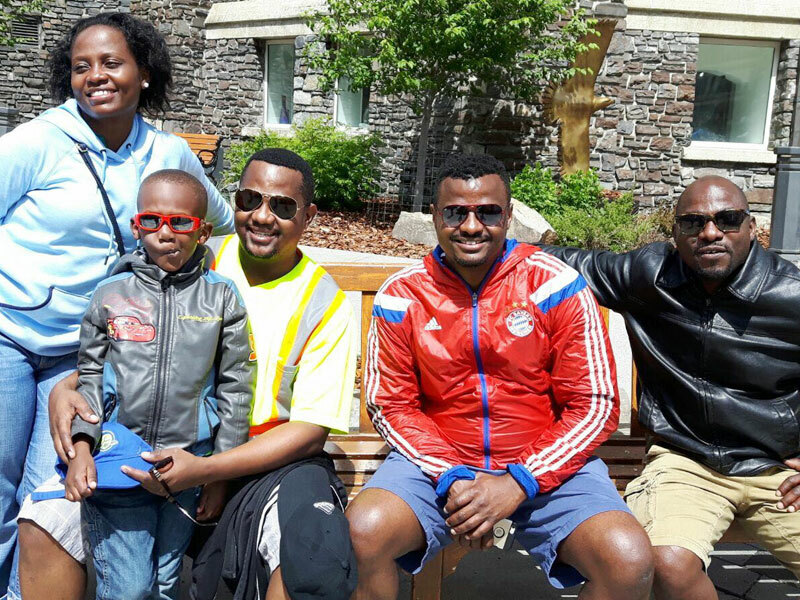 Kigozi posted this picture of himself and family and friends in Edmonton Canada. It doesn’t seem like the time to be a media big shot–unless you are working for NTV Uganda and hoping that NBS Television will come and sweep you gleefully with a dapper package. Barely a fortnight after UBC suspended senior managers to pave way for a probe into financial irregularities Buganda Broadcasting Service (BBS) has asked its chief executive Joseph Kigozi to step aside to allow investigations into the disappearance of station money. 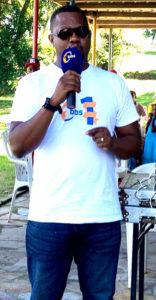 According to a source at BBS TV Kigozi’s suspension is to allow the Luganda broadcaster ascertain how a chunk of advertising revenue disappeared like Amama Mbabazi, leaving the station’s employees to go two months without pay. A source at the Buganda Kingdom-run station confirmed the development on Tuesday, saying the chief executive has been sent on forced leave. However, unlike Kigozi who was only suspended, seven others were shown the door, including Jackson Bikangaga, Berndette Acago, and others we have only been able to identify as Doreen and Bogere, from sales department. Kigozi, formerly the PR of NBS Television, left the country shortly after his suspension and is now cooling off the heat in Edmonton, Canada, with his family. The station believes the loss could be bigger, that what they discovered and have since hired auditors to go through the transactions of the station. When Buganda Kingdom launched BBS Television in April last year, Kigozi spoke highly of the station’s attachment to moral values. Saying BBS programming would be geared at instilling morals—under which financial impropriety would fall. Earlier this month, Uganda Broadcasting Corporation (UBC) indefinitely suspended several senior managers, including the head of human resource, Barbara Kyomugisha Serunjoji, and principle accountant Clementine Aribo, to pave way for an audit inquiry into irregularities in the national broadcaster’s payroll.